Workers of Iran’s Ahvaz Steel National Industrial Group have been on strike for 40 days. 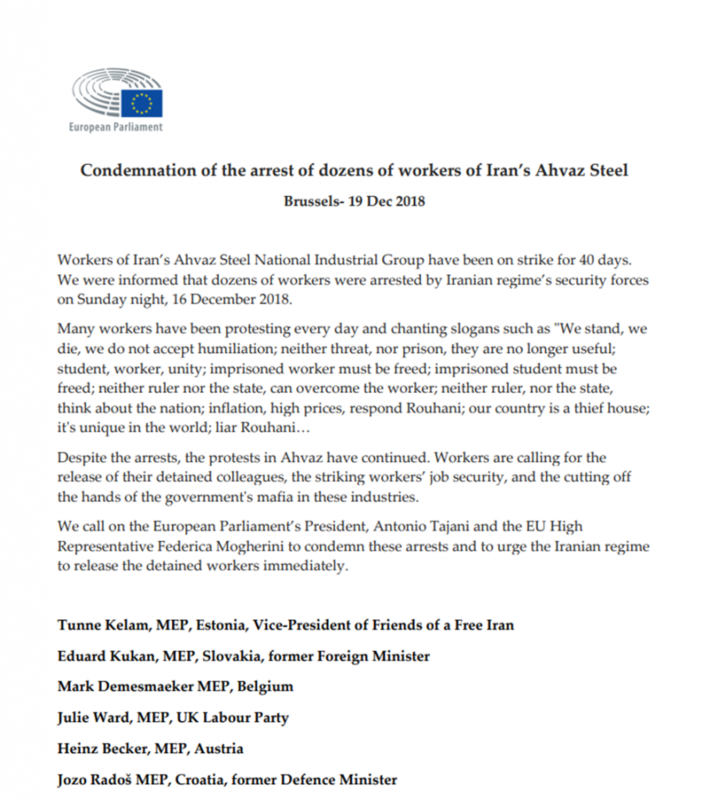 We were informed that dozens of workers were arrested by Iranian regime’s security forces on Sunday night, 16 December 2018. Despite the arrests, the protests in Ahvaz have continued. Workers are calling for the release of their detained colleagues, the striking workers’ job security, and the cutting off the hands of the government’s mafia in these industries. 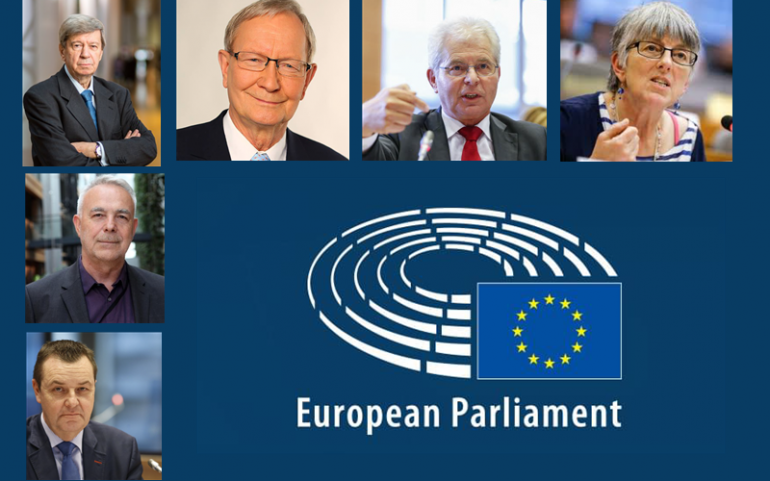 We call on the European Parliament’s President, Antonio Tajani and the EU High Representative Federica Mogherini to condemn these arrests and to urge the Iranian regime to release the detained workers immediately.